How Did This 3-Year-Old Die in a Boating Accident? Home » How Did This 3-Year-Old Die in a Boating Accident? Last month, a 3-year-old boy was on a fishing trip with his family at Canyon Ferry Lake in Montana. He was playing on a cement boat launch that had an extended dock, which is usually pulled in the water. However, the water levels were particularly low, so the boat launch had been stored to the side. Tragically, the metal part of the boat dock ramp toppled over and crushed the toddler. Someone on scene initiated CPR, but was unfortunately unable to find a pulse until the little boy was halfway to the local hospital. When he arrived, he was put on life support, but his brain did not receive enough oxygen and he was pronounced braindead. Despite the family’s grief, they donated the child’s organs to help other children who are in need. Boating accidents, whether at the dock or in the water, can cause serious injuries to children. Injuries from traumatizing accidents or fractured bones can have lifelong effects. According to the Centers for Disease Control and Prevention, more than 347 children died in boating-related drowning incidents. In more than half of these incidents, children were not wearing life jackets. On family vacations, it is not uncommon for children to sustain injuries on cruise ships. Slip and fall accidents are fairly common due to wet decks, while drownings are more likely to happen in the ship’s swimming pool. Activities, such as paddle boarding and surfing, can lead to drownings. Jet ski rides or being pulled on inner tubes behind a jet ski can result in impact with another boat and can result in serious injuries. What Can I Do to Keep My Child Safe On the Water? Younger children do not typically retain safety information in regards to passenger boats or large ships, so it falls to the responsibility of the parent to keep their children safe. If you let a child operate a vessel of any kind, know the child boating laws in your state. 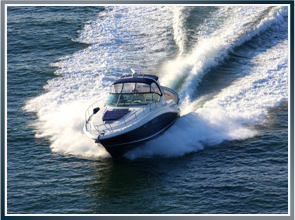 If the child is too young to be operating the vessel and should the child crash and sustain injuries, you will most certainly be held liable. Children (or really, all passengers) should always wear a lifejacket. Remember, it can get chilly while on the water and younger children are often at risk for hypothermia. Keep your children warm. And while swimming aids such as noodles or tubes are a blast for kids, they are not proper flotation devices and should not be solely relied upon. Make sure your child knows to keep their hands and legs inside the boat. Another great step for parents in ensuring child boating safety is to enroll their children in a boating safety course. As nationwide maritime attorney David Anderson explains, if you or your child sustain injuries in an accident at sea, you should first seek medical attention. After your little one receives treatment, immediately contact a maritime injury attorney to examine your rights in the situation. David Anderson is a maritime injury attorney at Latti & Anderson LLP who fights for victims who have been in accidents at sea. Previous The U.S. Coast Guard Rescues Man in an Inflatable Bubble—Again! Next How Did This Tugboat Crewmember Lose His Life?